Cranston Print Works was one of the first companies to become employee-owned when the Employee Stock Ownership Plan (ESOP) concept was conceived in the 1970’s. Over the years since our ESOP purchased the Company, our employees have become increasingly passionate about their jobs and their Company, as anyone who is an owner of his own business can appreciate. Today there are approximately 10,000 ESOP’s across the United States, employing 8 million people, or 8% of the private sector workforce. Assets owned by ESOP’s total $500 billion. Cranston’s ESOP is by far the majority stockholder of our Company. Cranston’s ESOP is a powerful mechanism designed to financially reward its employee owners. Each employee’s ESOP account builds in value over time, as the operational successes of the Company are translated into financial rewards which accrue directly to the employee owners. Every year shares of stock in Cranston Print Works Company are placed into employees’ accounts at no cost to the employees. Cash is paid out when dividends are declared. As an employee nears retirement the accumulation of shares in his account peaks. The employee receives partial cash distributions through the diversification process, and at retirement a cash distribution based on the fair market stock value and the number of ESOP shares in his account. The ESOP has the potential to be a significant source of retirement wealth in addition to the Company’s other retirement programs. 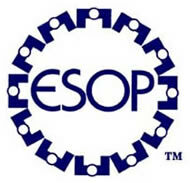 Thus, the ESOP motivates employees to maintain a high level of commitment to both job quality and longevity of service. Competitive products and competitive pricing are the only keys to survival for any manufacturer. Because our employees believe in the ESOP, we stay focused on improving our technology and being innovative. The ESOP concept empowers every Cranston employee owner to perform their job with skill. At Cranston, the ESOP means a guaranteed high level of service and outstanding quality of product. The individual employee owners in an ESOP company directly benefit when their company succeeds. Thus ESOP’s are unique in that no one has a stronger interest in the quality of their products and the total satisfaction of their customers than the employee owners of an ESOP company.